This is to inform all the prospective students of the Federal Polytechnic, Ede (EDEPOLY) that the authorities of the school have released the 2018/2019 academic session admission list. 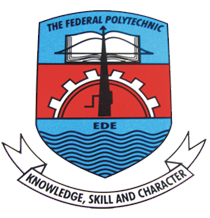 Federal Polytechnic Ede admission list contains the names of candidates offered provisional admission into the polytechnic various diploma programmes. How to Check Federal Poly Ede Admission List. Successfully admitted candidates are advised to login to JAMB portal to either ACCEPT or REJECT their admission offer — How to Reject/Accept Your Admission on JAMB CAPS. Congratulations to those who made it to Federal Poly Ede admission list.